We had a lovely early dinner with James, Monique, and Finlay, and my mom came over from Bowen to join us. I made a cauliflower purée - 2 parsnips, 4 cloves garlic and a 1/2 head of cauliflower cooked in butter, a bit of cream, and chicken broth. Another 1/2 head was roasted and then added to the pot. 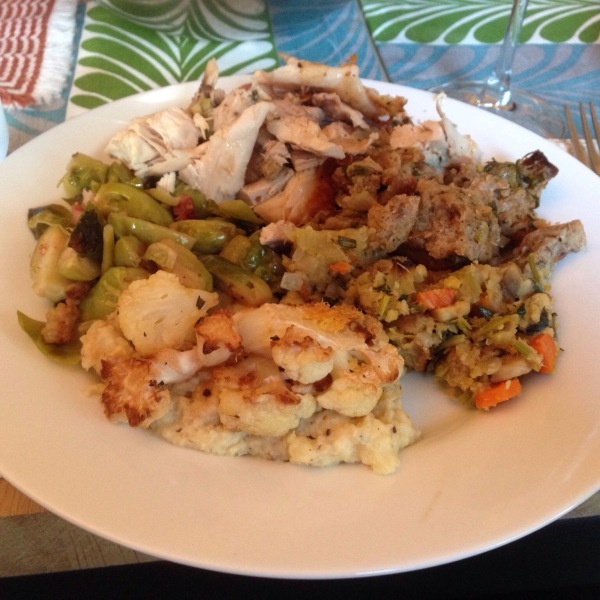 I used a hand blender to mix it all together. Separately, I pan fried some cauliflower steaks and added lemon zest and juice. I made my sort-of-standard Brussels sprouts and bacon. The Brussels sprouts have the bottom chopped off and are quartered. Cook bacon until crisp, then sauté the sprouts. 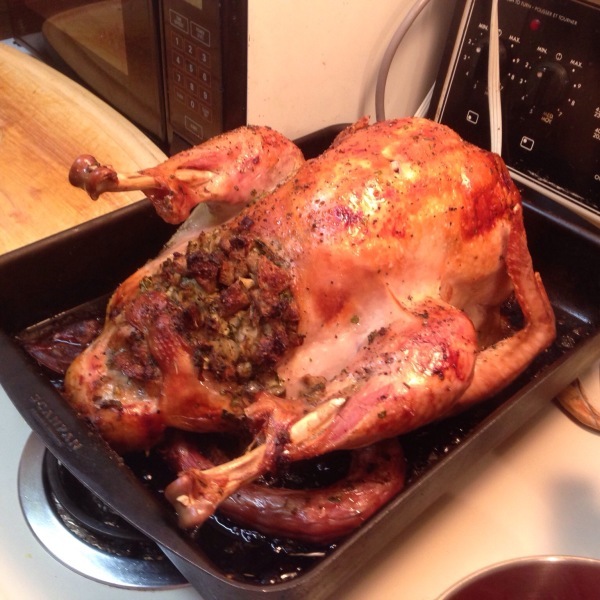 I added fresh lemon juice, some maple syrup, and salt and pepper to taste. It needed a bit more salt and some more maple syrup. Other items listed below next to their photos. 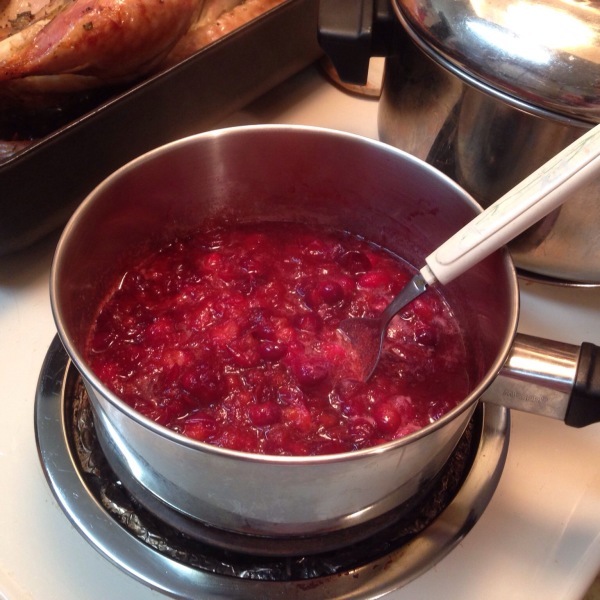 I made the cranberry sauce. A little allspice & nutmeg, and lots of sugar. I sometimes do orange juice and some ginger. 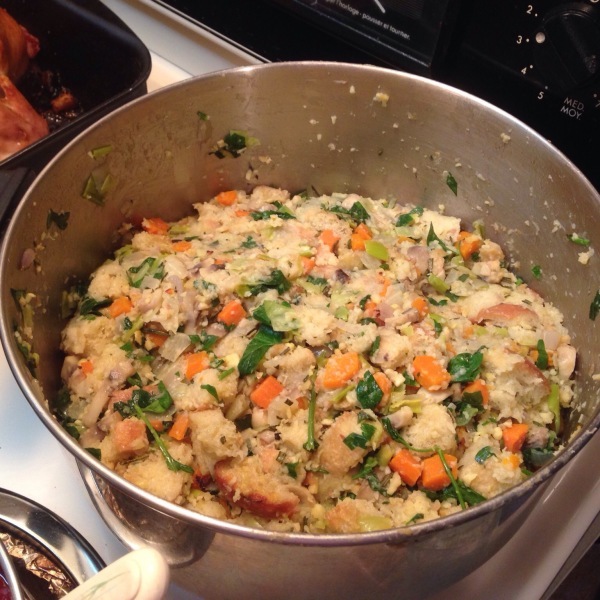 The stuffing I made. A loaf of white sourdough, cut into squares and toasted with fresh rosemary and olive oil. Shallots, leeks, carrots, mushrooms all sautéed, then fresh flat parsley mixed in. I puréed a cup of roasted chestnuts with an egg, a clove of garlic, and chicken broth. 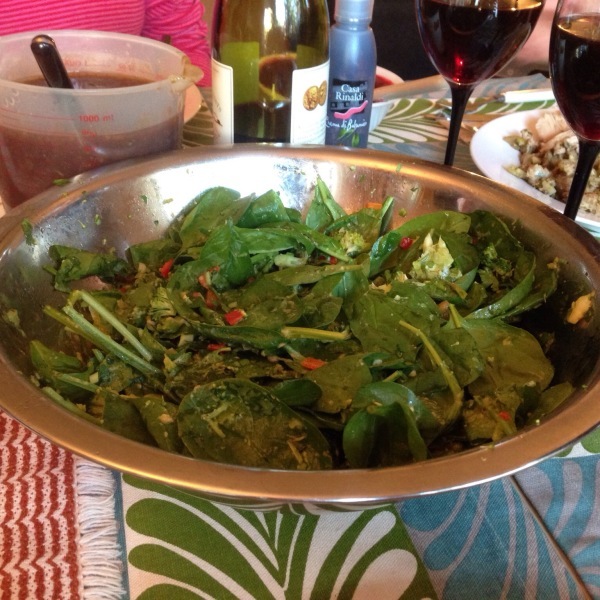 James&apos; "Guacamole Salad" - guacamole ingredients like lime zest, cilantro, and avocados over baby spinach leaves. 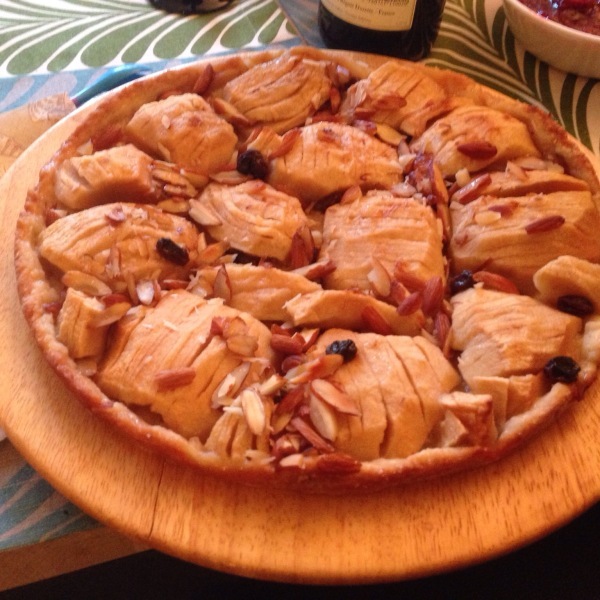 My mom&apos;s German apple cake.